Music: Everyone wants it, no one wants to pay for it. How to help a music industry giant survive in a brave new world. 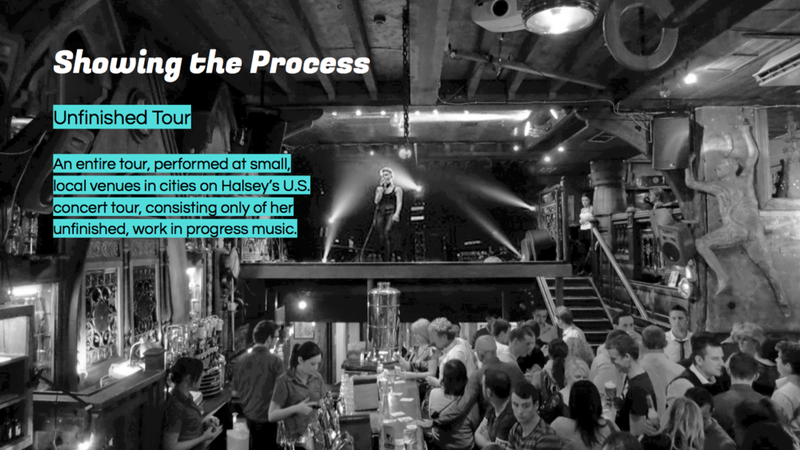 A campaign to show the future of music for Universal Music Group and breakout artist Halsey. The Unfinished print campaign evolves over time as the project evolves. Creating new and special items for fans to collect while reflecting the changing music project. 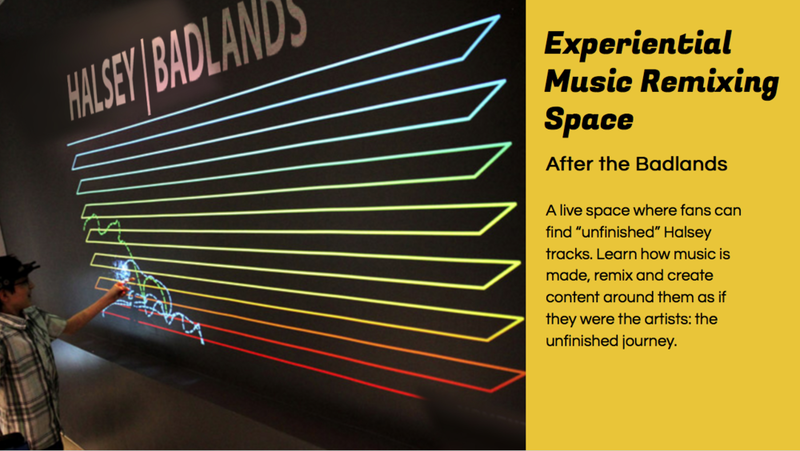 Amplifying the concert through time and space gives fans more chances to have irreplaceable experiences. Fans build worlds out of the content they love. We wanted to bake that into our campaign. To build a sandbox for Halsey and her fans to create in. Finding new ways for music to exist, to be relevant, and to be created, so that the creators still make money.